The adaptation of Madeleine L’Engle’s A Wrinkle In Time has zipped through casting. The Ava DuVernay-directed film snagged its lead back in July, when Storm Reid boarded the classic sci-fi tale as Meg Murry, the awkward-but-average girl at the center of all the space-time travel. Earlier this week, Gugu Mbatha-Raw signed on to play her prepossessing scientist mom, even as she’s messing with our minds on Black Mirror. Dr. Murry is often distracted by her work, which might be why she isn’t too concerned when her husband Mr. Murry goes missing. But his disappearance is really what sets off the action in the quintet of novels, so he was bound to be cast soon. 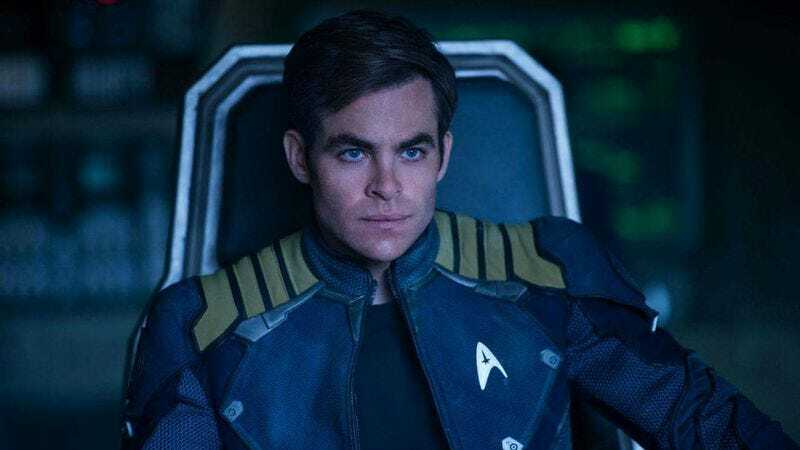 Well, we’ve just learned which poor sap will be lost to the tesseract’s ways: Deadline reports that Chris Pine will play the government scientist who vanishes much to Meg’s dismay. Dr. Murry’s probably upset too, but she’s also busy being brilliant, after all, which leaves an opening for Meg to prove herself extraordinary, though she’s still outdone by her five-year-old brother. (Poor Meg.) Frozen scribe Jennifer Lee tackled the script for the film, which stars Oprah Winfrey, Reese Witherspoon, and Mindy Kaling as the extraterrestrial trio that instills in Meg the self-confidence she’s so sorely lacking.